J W Jones are specialists in providing underfloor heating for the home and the benefits for householders are many. 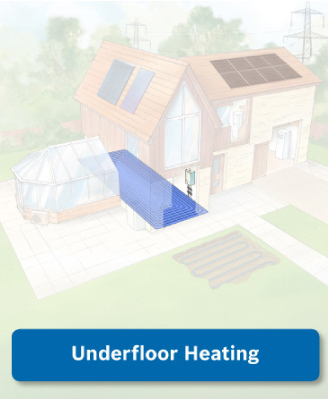 Combined with the new Renewable Energy Products, underfloor heating can significantly reduce your home heating bills by as much as 40%. Far more cost efficient than conventional radiators, which heat the top of the room first, underfloor heating operates at lower temperatures distributing heat up in a uniform way to create a warm cosy environment that prevents cold spots, creates space and adds immediate and significant value to your home. 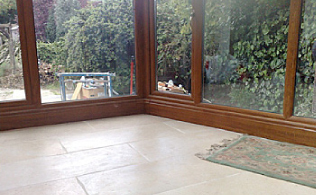 Overlay installations allows 'underfloor heating' to be installed as a "built on" rather than "built in" solution. This can be a particular advantage where access during construction presents difficulties. 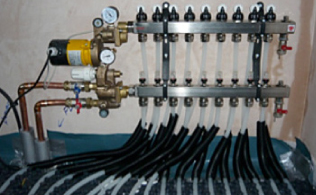 Overlay works in the same way as underfloor and is connected to manifolds and controls like other floor heating systems for whole floor installations, alternatively it can be used for single room solutions, e.g. conservatories, bathrooms or loft conversions. 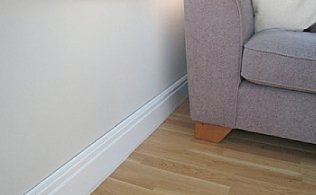 20mm (3/4") profile - the slimmest product on the market, and consistent with existing skirting and door architrave mouldings. Low & high temperature performance - suitable for heat pumps, solar and conventional boiler systems. True radiant healthy heat like UFH - no slots grilles or fins that get clogged and move dust and spores around by air convection. Rapid, controllable response times - heats the room in minutes and can be tightly controlled on & off, reducing your fuel bills. 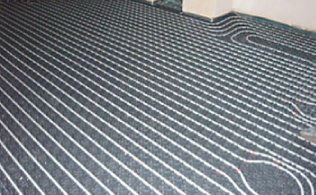 Works with any floor construction or finish - why smother your heating system with timber floors or carpet? ThermaSkirt works perfectly in any situation. Up to 6m (20') walls in a single length (and end-to end connectors for walls > 6m) - minimum joints and connections for aesthetic perfection. Silent operation - single piece extrusion and colour moulded covers ensure no ticks, clicks or bumps in the night!. For a no-obligation estimate, contact us immediately!